Erwin Schockel's "The Political Poster"
Erwin Schockel’s book Das politische Plakat is one of the most interesting Nazi books on propaganda. 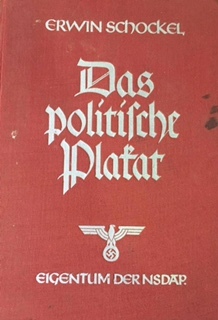 Published in 1938 (with a second printing in 1939), it was intended as the first of a series of books for Nazi propagandists. The outbreak of war put an end to the plan. 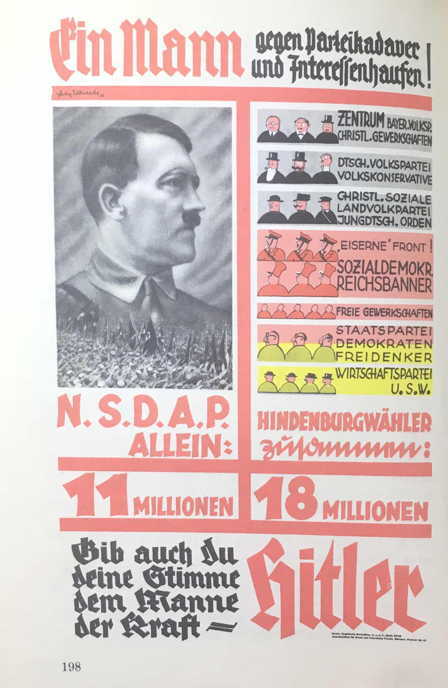 I’ve translated what to me is the most interesting chapter: a discussion of good and bad posters, with many examples. For example, this poster from the Economic Party is discussed as an amusingly bad poster. Schockel thinks it has a serious weakness: Hitler looks like a Hollywood film actor in soft focus rather than the all-powerful Führer. The Nazis produced a series of histories of their early years in various German districts. 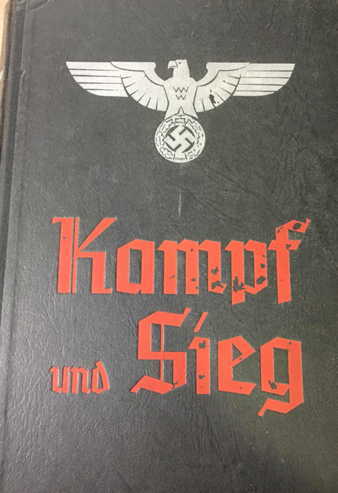 These were typically thick volumes filled with stories of brave Nazis fighting against great odds until Hitler’s victory in 1933. 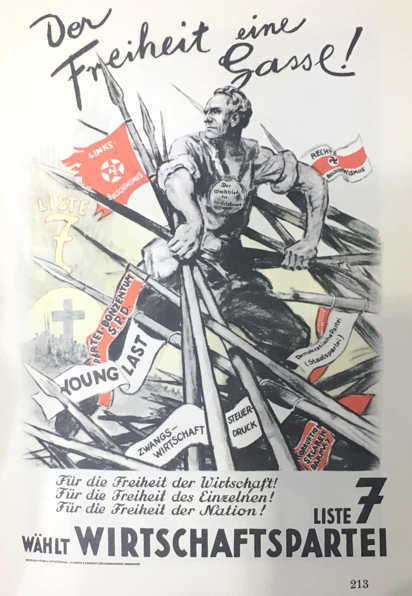 Today I am adding sections of one such book, a history of party activities in Gau Westfalen-Süd. Since the book runs over 600 pages, I am translating only enough to give a sense of its contents.